An act of Collective Worship takes place every day and is an important part of school life, making space for pupils and staff to come together and share in worship through learning, music, reflection and prayer. Collective Worship follows a cycle of planning based on key Christian Beliefs and Values. These are taken from the Values for Life scheme, as recommended by the Church of England. Our Worship is inclusive and gives all of the school community the chance to be part of the experience, while respecting the integrity of family and cultural backgrounds. Members of the local church community visit the school regularly and lead. Every Friday we hold a Celebration Worship. This is an opportunity to reflect and celebrate on the children's achievements academically, socially and extra-curricular. 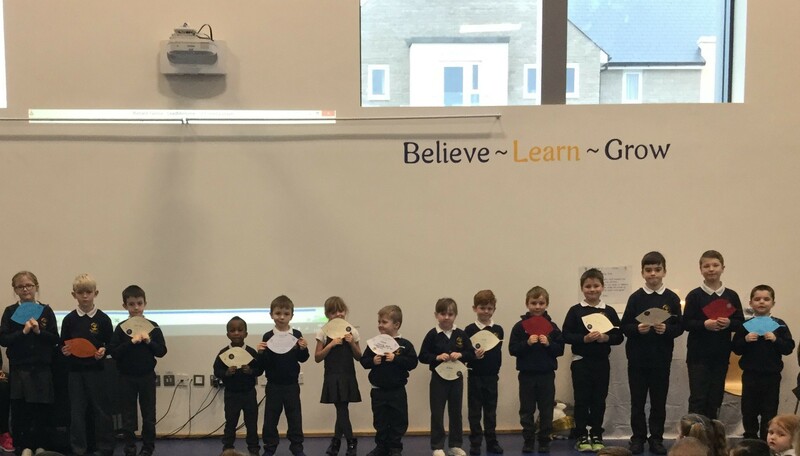 Special 'Value Leaves' are handed out at this occasion as well as 'leaves' that demonstrate the good learning behaviours that we show in our school. 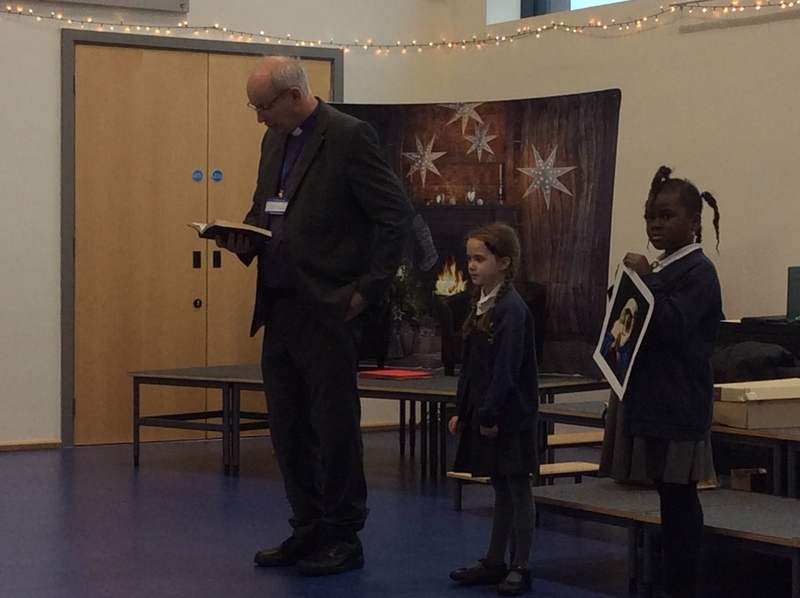 We also welcome members of the local Christian Community to lead Collective Worship. Teachers and the Headteacher lead Collective Worship during the week. Once a term a whole class plans and delivers collective worship to which parents are invited. Collective Worship makes very clear links between charities the school supports and key Christian Bible stories. We visit the Parish Church and other local churches for project work and have services to celebrate church festivals such as Christmas, Easter and Harvest. A pupil elected body called the 'Collective Worship Team' meet regularly, representing the children in each class. The Worship Team help to monitor, evaluate and suggest new ideas in support of our Christian Distinctiveness. The class Worship book will always be on display in the classroom and children are able to refer to or look at it.